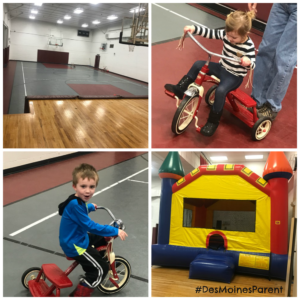 Not a lot of people know that Grimes, Iowa has a lot to offer every family! I may be a little bias, since I grew up and live in Grimes, but I love the small town vibe, yet it’s continually growing every day. 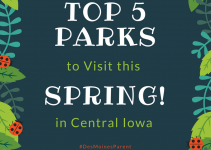 This growing town has tons to offer for families with children of ALL ages. 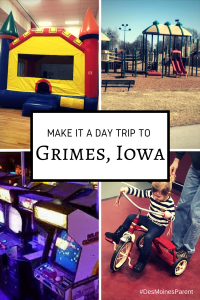 I am going to break-down some great activities you and your family can enjoy in Grimes. 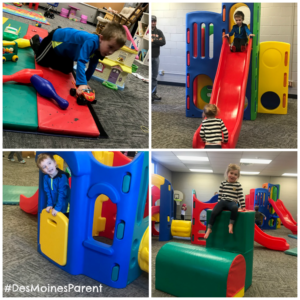 Bounce and Play Time is a fun opportunity to let your children ages 10 years and under to burn off some energy. If it’s rainy, snowy, or too hot, bring them to the Grimes Community Complex! 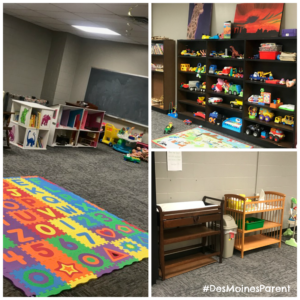 There are two rooms designated full of toys, books, tumbling mats and more. The gym is open also, with an inflatable bounce house! And it’s FREE! Rooms 201 & 203 are full of climb on toys, tumbling mats, books, a doll house, babies and much more. One room has rocking chairs and changing tables. It makes it a very welcoming environment if you also have a newborn to tag along. The gym includes trikes, scooters and various sports balls. This is also where the inflatable bounce house is located! Monday & Wednesday: 4 pm – 7 pm; Room 203 is only open! No bounce house. 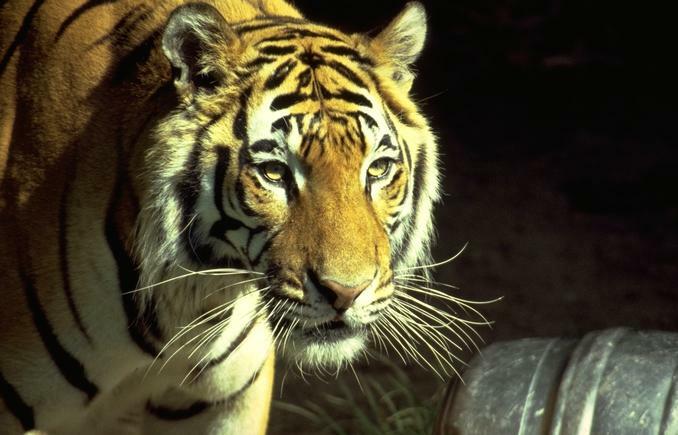 Friday’s: 9 am – Noon; Room 203 is only open! No bounce house. You can also rent the two rooms for your next indoor birthday party! Learn more here! Note: People easily forget that Sky Zone Trampoline Park is also located in Grimes. If your children didn’t burn off enough energy at Bounce and Play, jump some more at Sky Zone! They also offer jump times specifically for toddlers. After you have spent your morning running and playing at the Grimes Community Complex, head over to the Grimes Sports Complex! This park is a great place to spend hours and hours of your afternoon (or morning) outside. 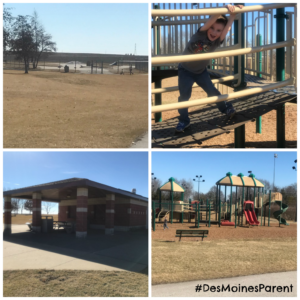 This 45-acre complex includes a fun playground, volleyball courts, basketball courts, tennis courts, a skateboard park, shelter with restrooms, a large field to run and play (bring a kite!) and walking/biking paths that run through the entire complex. Bring your kiddos bikes, sand toys, a kite, basketball, soccer ball, skateboard and pack a lunch. You could seriously spend hours entertaining yourself here! Are you visiting Grimes a day when Bounce and Play Time is not open? Or is it rainy in the afternoon so you can’t visit the Sports Complex? 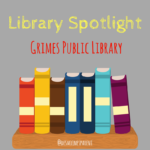 Check out the Grimes Public Library! 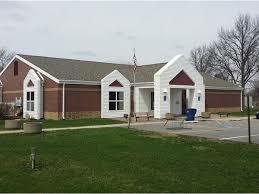 The Grimes Public Library offers several fun toddler and older story times and a fun little children’s area. The children’s area offers lots of books (of course) puzzles, and other fun toys. 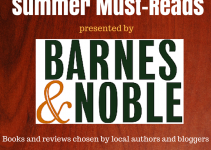 Read a book with your child, or grab a magazine and read while your children read. Check out there event and activity calendar here! Located in the old downtown Grimes is The Old School Arcade. Although, they are open mainly in the evening, this is a great place to play inside. It is $10 unlimited play on the weekdays and $13.50 unlimited play on the weekends. 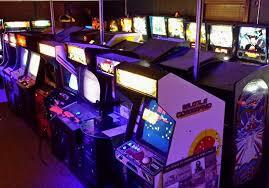 The Old School Arcade offers lots of fun old school games and pinball machines. A great place to have fun for the entire family. Hours differ regularly call (515-986-3317) or check their Facebook page for status updates. 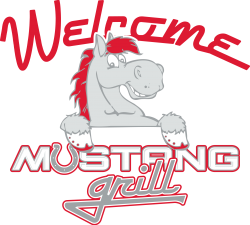 Located right next to The Old School Arcade is Mustang Grill! Forget to pack a lunch? Check out this fun eatery devoted to Dallas Center – Grimes! They offer a variety of appetizers, breakfast items and lunch/dinner items. Lots of burgers, a philly cheese steak and some creative menu items such as the Italian Mustang. Of course, they offer a great kid’s menu. There is also a neat patio on the back when it’s nice out! 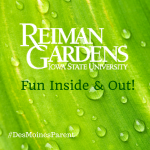 Reiman Gardens: Fun Inside & Out!